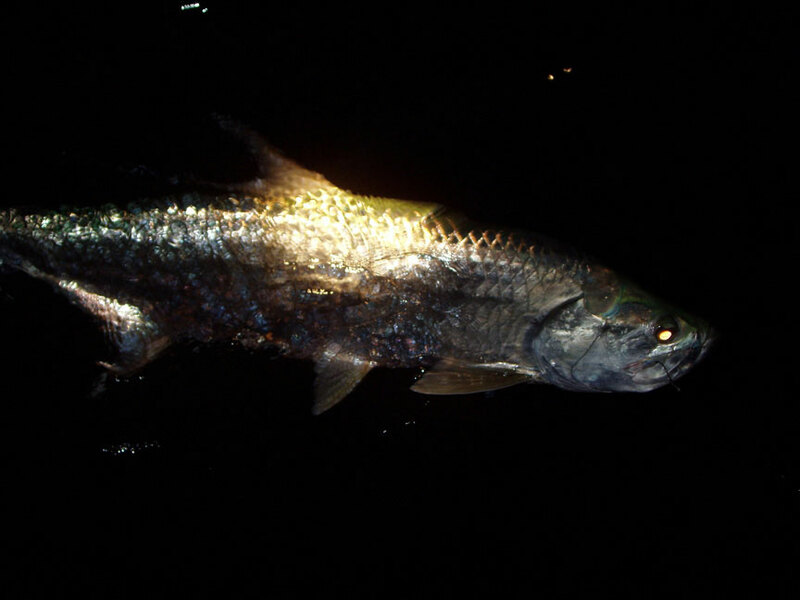 Tarpon, or as they are called the silver king, inhabit our Miami waters year round, but we usually target them from late December to early June. The tarpon we catch can be anywhere from 20 pounds to 170 pounds. Typically the bigger fish will show up in the spring. Most of our tarpon fishing is done in the late afternoon into the night. We usually fish along the beaches on the Oceanside near an inlet. In the beginning of the season we usually fish the beach south of Haulover Inlet, between the Miami Beach barrier island and mainland Miami. As the season progresses, we will fish the beaches both north and south of Government Cut. We mostly use live shrimp hooked on a circle hook. Our tackle is 20 pound spin or conventional which allows for a great fight against this awesome fish. As we get into late spring, we also start fishing live crabs. The tarpon is truly a great gamefish and are a blast on lighter tackle. All this great fishing and you are literally a few yards from the beach. What a better way to wind down after a hectic day at work! Whether you have your heart set on landing tarpon or if you want to combine tarpon with catching other fish, give Captain Dean Panos a call on (954) 805-8231 or email dean@doubledcharters.com. Learn more about our fishing charter trips.